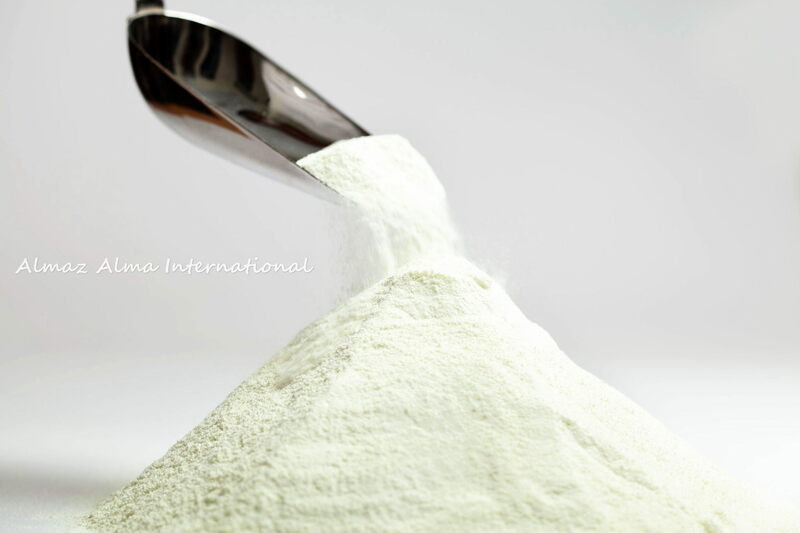 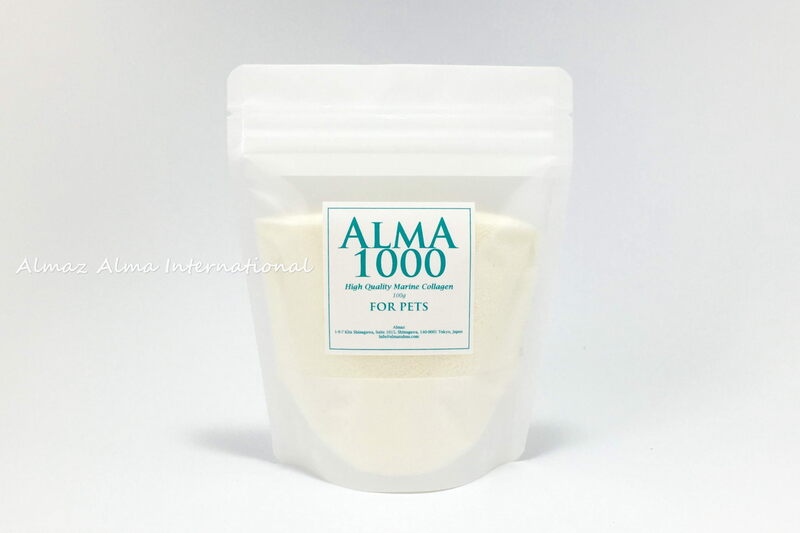 The Alma 1000 is the very high quality collagen powder and can be absorbed by the body better and faster. 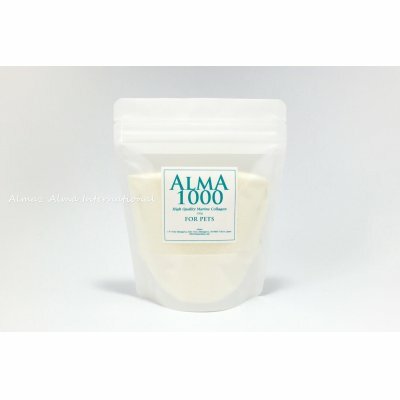 The Alma 1000 is 100% of the highest quality marine collagen made by a leading company with the market top class share in Japan. 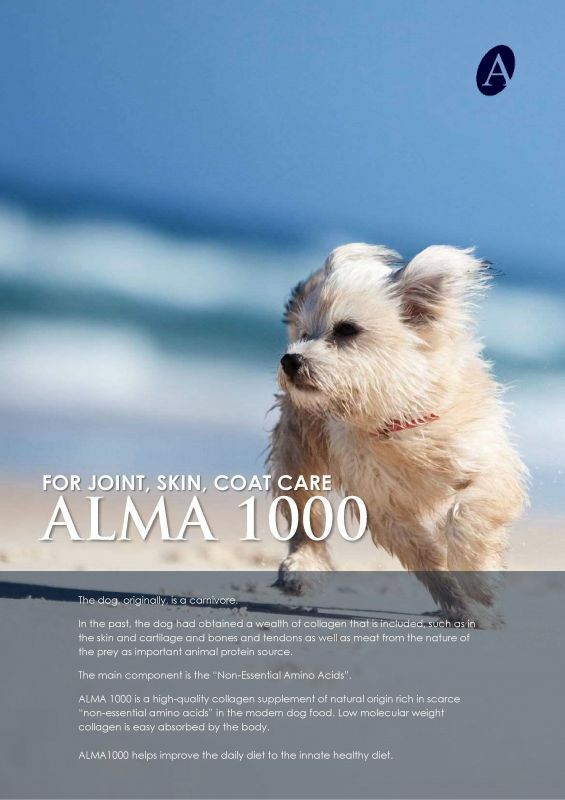 IF YOUR DOG HAS BAD KIDNEYS and/or FOOD ALLERGY, PLEASE STOP GIVING. 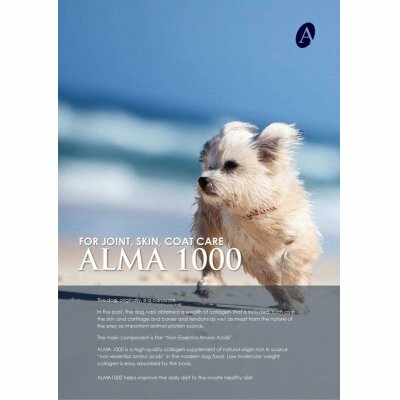 Joint care, skin care and coat care for healthier! 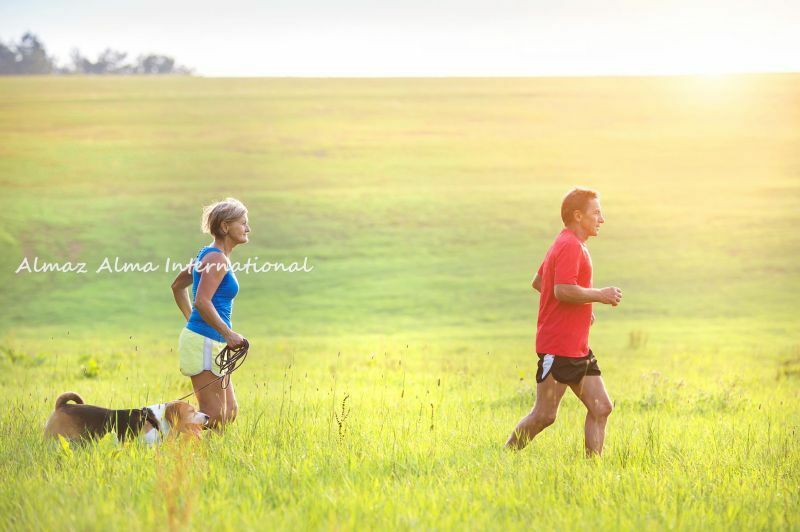 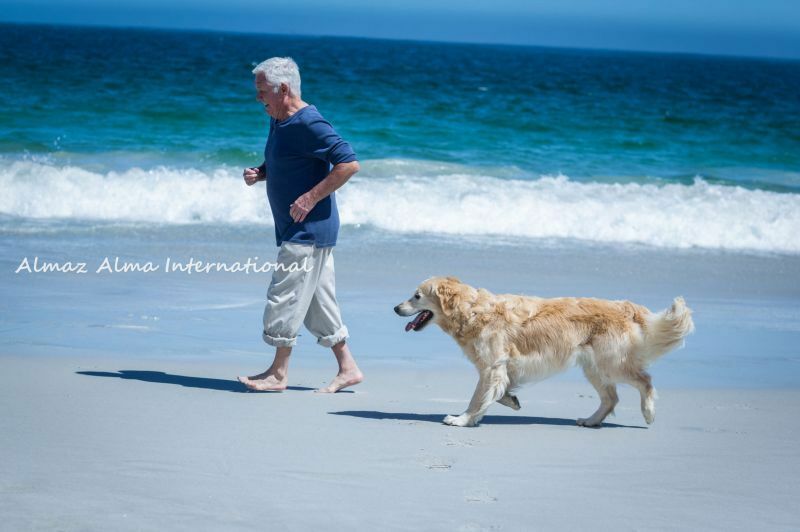 Only high level protein can improve your dog's health.